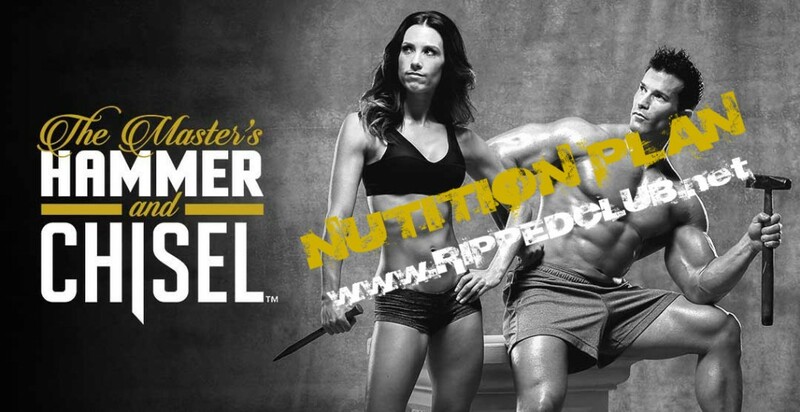 You have seen a ton of nutrition plans from Beachbody and it seems like they change each time a new one comes out, but your going to see something very familiar with the Hammer and Chisel nutrition plan. 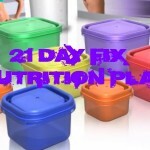 I know it can seem a bit frustrating to be changing how you track what your eating, but since the release of 21 Day Fix, there has been one consistency with Beachbody fitness programs and their nutrition plans – and that consistency is the portion control containers. 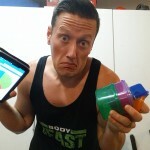 These little color coded containers that slip through every gap in your dish washer rack have revolutionized the success rate people are having with their fitness programs; which makes since…because nutrition is 80% of your results! The idea behind the portion control containers to track your nutrition is to take a lot of the “guesswork” out of planning your meals. 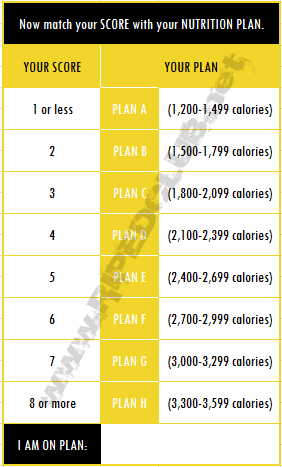 What you’re going to see below a simple 2 step setup for your nutrition plan – first you’ll take a look at the calorie quiz and determine where you fall based on your goals, then you’ll reference the calorie chart to see how many of each container to use each day. Then there are food lists that you can reference which I will give a few examples of each, but most are pretty self explanatory. I know there a ton of people that are going to want to know how to track their macros with Hammer and Chisel so i will give you a brief overview of that as well, but lets tackle the plan is its laid out in the program first. Its easy mmmmmkaaaaaaaay! 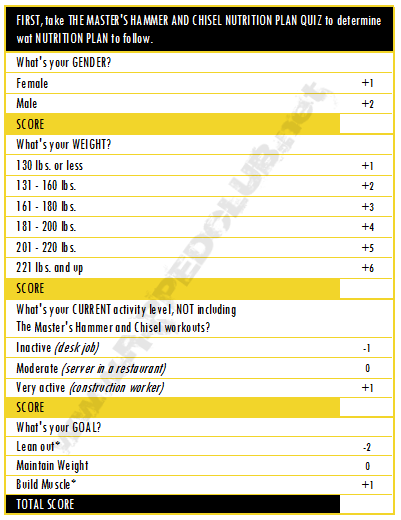 *After 60 days of The Master’s Hammer and Chisel, to further build, you can adapt to get even bigger by adding an additional point to the “build muscle” calculation, or in turn to lean out more after 60 days, you can subtract an additional point from the “lean out” calculation, as long as you are being healthy and smart about your overall consumption. 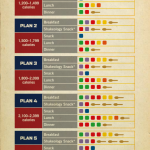 Each plan is color coded to match the 7 containers that you got with your program, with the number of portions per container listed next to the colored square. Its pretty self explanatory, but if you see a 4 next to the red square, that means you’ll be filling the Red Container 4 times per day. 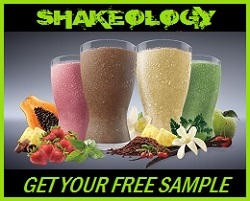 Now there are a wide variety of foods in the Hammer and Chisel nutrition plan, so you’re calories may vary day to day. Now this is totally fine and you shouldn’t freak out. It should all average out and you’ll still maintain a caloric level that is suitable to you goals. When you have food that are oddly shaped, take asparagus for example…dont try and cram asparagus spears into your green container – simply use the amount listed next to the food item on the list. However you choose to track it doesnt matter, what matters is the you ARE TRACKING! I recommend that you plan ahead. If you’ve been on this site browsing for a while, then you’ve probably heard me say it a few times…“If you fail to plan then plan on failing”. I recommend that you sit down the night before and PLAN OUT YOUR MEALS IN ADVANCE << notice all those caps? Ya, that means I’m raising my voice in case you dont understand that its important. Its my gift (online emotional expression). If you can do it, I recommend spending a few hours on a sunday or something and pre packing all your meals by using the color coded containers to measure out all your meals for the week. This program was designed by two physique competitors and you can guarantee that they pre-pack their meals! I do it and its one of the things that has always ensured my success. For info on tracking your macros with Hammer & Chisel, watch the video below on the Hammer and Chisel nutrition plan…and dont be offended, lol…you’ll see. 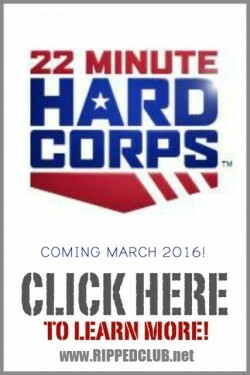 I can't wait to start this in January. Thanks for the macros.